Added on October 5, 2016 by Helen Nicholson. Curating an exhibition provided the perfect opportunity for us to share some of the amazing materials of amateur theatre-making we have collected over the course of the project. Over the last three years, I have spent many an hour ordering boxes of papers, large scrapbooks, diaries and bound commission books in naval archives around the country in the hope of finding those sparkling gems of evidence among the dust. On the 17th of September, I was able to share some of those exciting finds. From the dark, cool, and dry surrounds of the archives to the system of folders on my computer’s hard drive, images of publicity materials, programmes, photographs, and newspaper cuttings finally made their way to the light, airy foyer of Royal Holloway. It was a moment of anticipation for me. The bedrock of my PhD research was going on display. My PhD thesis traces the development and longevity of 20th century amateur theatricals in the Royal Navy at sea. I have uncovered a wide repertoire of theatrical performances, a variety of performance spaces (including aircraft hangars, Nissen huts and mess-decks! ), and fascinating personal testimonies of participation. I tried to capture the breadth of this research on the display boards. From photographs of auditoria at sea constructed at the turn of the 20th century to sketches of SODs Operas at Scapa Flow, these once disparate archival materials were placed side by side for all to compare. The most exciting part of the exhibition for me was to see the two display boards I had designed together. For the first time, my material was shown alongside snapshots of Nadine Holdsworth’s research examining current amateur theatre practices in the Navy. Images of Royal Naval Theatre Association events from the recent past hung adjacent to the material evidence of the amateur theatre-making in the Navy that preceded it decades before. It was wonderful to see this material side by side. From 1899 to 2016, black and white to colour photographs, exclusively male communities to serving men and women, performances on land and at sea. One thing, perhaps unsurprisingly, remains the same – a chorus of men in wigs and dresses is still a firm favourite! Sleeping Beauty, The British Airways Cabin Crew Entertainment Society, Watford Palace Theatre, January 13-17 2016. Added on January 17, 2016 by Helen Nicholson. On Wednesday evening I found myself on my feet applauding the finale of Sleeping Beauty, an exuberant moment of utter joy. Having had the pleasure of observing rehearsals for the last few months, I persuaded a group of colleagues from Royal Holloway, University of London to come with me to see the show. Academics can be a sceptical bunch - we are trained as critical thinkers - but these theatre scholars, too, were on their feet cheering and shouting and clapping, caught up in the atmosphere of the performance. There was a generosity of spirit in the theatre that was infectious. Research, surely, shouldn’t be this much fun? The British Airways Cabin Crew Entertainment Society (BACCES) is well-known for its annual pantomime, and its high production values led it to perform in a new venue in 2016, Watford Palace Theatre. Watford Palace is a beautiful Victorian theatre, and its opulence framed the spectacle of BACCES’s performance. The audience were taken on a magical journey into the Land of Nod, travelling with British Airways cabin crew, sometimes wearing their BA uniforms but more often in the most fabulous of concoctions. There was serious amateur talent on stage, both from the performers and from the costume and props-makers. It would be easy to describe the production as a confection - delicious and sometimes naughty - but that would miss the deeper significance and more important values that were also on show. In this research project I have become interested in the relationship between amateur theatre and participants’ working lives. The BACCES panto has given me an opportunity to reflect on what means, and whether there is a relationship between performance I witness on stage and the working lives of the company. I live quite near to Heathrow, and I know from my cabin crew neighbours that it can be a lonely job with long hours and regular sleep deprivation. Everyone on stage is a member of the BA cabin crew, with a few recently retired from service. The relationship to work referenced in performance, and the loyal audience expects jokes about pilots, life as a crew member and BA company policy, and there is always a ‘uniform number’ at some stage during the show. As cabin crew, the cast are used to welcoming people on board flights and putting travellers at ease. In some ways the job is a performance in itself, and I am interested in whether the strong ensemble that I witness on stage is somehow linked to their working livesand their team work as cabin crew. For sure, at rehearsals I have felt not only welcomed but hosted, with company members always offering me tea and coffee and asking if I am warm enough when rehearsals have taken place in a cold room. Looking after people is second nature. The irony of cabin crew performing Sleeping Beauty was not lost, and in the programme notes the company share their tips for a good night’s sleep. It is interesting to debate the relationship between work and performance, but does not quite account for the genuine generosity I see on stage, nor for the atmosphere of joy that infected me and the rest of the audience last Wednesday night. BACCES have a long history of raising significant money for charity, and company members have frequently told me that this is an important aspect of their work. Performance and charity come together, and perhaps, for the moment, that explanation is enough. Sleeping Beauty is amateur theatre as a charitable gift, given for the love of it. Added on October 6, 2015 by Helen Nicholson. Here are some of the objects which featured at our Evocative Objects events back in June. 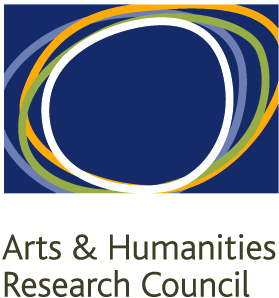 These workshops, part of the AHRC Connected Communities festival, gathered together participants and advocates from the amateur theatre sector. It seems right and fitting that their voices, memories, stories, and experiences are shared here. Added on June 2, 2015 by Helen Nicholson. We're so pleased to see our Evocative Objects events listed as part of the wider AHRC-Connected Communities Festival programme. Don't forget to reserve your free place at one of the Evocative Objects days. Spaces are filling up, so make sure you book your place, let us know your dietary requirements and get that special object chosen!